It’s not enough to be a terrific marketer to be considered among the best CMOs today. In all sectors, marketing’s influence over business results is increasing – while running the operation is growing exponentially more complex. CMOs rising to the challenges today are well-placed to lead their brands in the very near future. 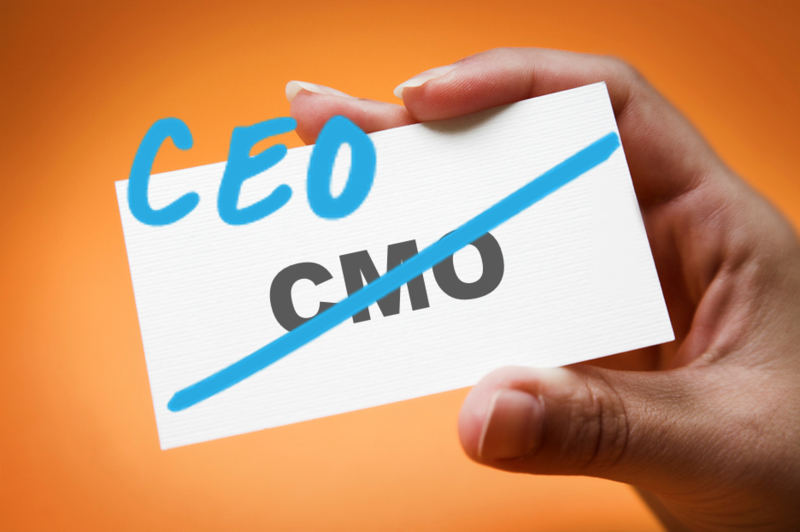 What’s Changing to Make CMOs More CEO Ready? In the B2C world, marketing’s responsibility has grown from brand awareness to market share to end-to-end customer experience in short order. 38% of CMOs have the customer experience mandate which expands their remit far beyond their traditional role (subscribers see: Gartner Survey Finds Importance of Customer Experience on the Rise — Marketing Is on the Hook). That means that CMOs are having to build stronger ties across the organization and are often the ones with access to the customer insights and data that diagnoses operational, product or service issues that must be tackled by the entire company. While this same trend is playing out in B2B, it’s even more poignant a shift. The customer buying journey for B2B brands is growing increasingly marketing heavy with buyers doing more research and getting further down their decision path before they engage with sales. That’s manifested itself in a shift of responsibility with CMOs who once owned a simple lead count now measured on pipeline or even shared revenue targets. Add in the fast growing ecommerce side of many businesses and we see more CMOs with direct P&L responsibility for sizeable chunks of revenue (subscribers see: Understand the Top Digital Commerce Organizational Archetypes). Digitally savvy CMOs are positioning themselves to be at the center of many digital business transformations – whether they do digital commerce or not. What CMO Skills are CEO-Worthy? Critical skills to CMO success today look more and more like the laundry list of what boards might seek in their next CEO. Visionary Leadership: the digital transformation happening in most marketing organizations today demands that CMOs who are successfully adapting their brands must be visionaries with the ability to inspire and manage change. Business Acumen: as more economic responsibility flows to the CMO, it has become increasingly important that leaders expand their horizons beyond near to mid-term top line numbers and through to profitability and longer term strategic planning. Results Orientation: data-driven marketing has taken what has always been a results inclined to being a results driven function. Mapping activities to results is how great CMOs are delivering growth and getting support to continue or enhance their efforts. Those that aren’t are being fast replaced. Customer Centricity: back to the data and the origins of marketing – being attuned to your customer’s needs is what has always made great marketers. That skill is eminently transferable in an age where customer experience is the battlefield. Communication: a mainstay skill for all marketers, the ability to listen, analyze and understand audience needs is one reason marketers are so well suited to the top job. Digital & Operational Savvy: despite the fact that others may not see it for what it is, a modern marketing operation needs to be a well-oiled machine whose teams and tools work to orchestrate a compelling user experience resulting in revenue. Brands that on the one hand are sending out millions of personalized emails via smart automation and while engaging in personal, authentic social media conversations have got serious operations chops that can scale to many functions. Recruitment & Empowerment: because marketing is changing so fast, any CMO worth their salt today understand how many blind spots they have. That means they are not only great at spotting talent, but they know how to hire to their weaknesses, how to hire smarter than themselves and how to grow talent internally to build the powerhouse teams that build their brands. There are some specific domains – like finance and accounting, legal or high volume operations, that remain untested for many CMOs. But as with any new CEO – if the leader is promoted out of one domain, they are likely to have blind spots. The areas that CMOs have gaps are ones that any aspiring CMO to CEO can both get more educated on and smartly hire complements. It also goes without saying that some industries may be better suited to the rise of the CMO than others. The last several years have already seen big moves like Ben van Beurden’s move from CMO to CEO at Royal Dutch Shell in 2013, the recent hire of former CMO Jill McDonald as CEO of Halford’s to the 2015 appointment of marketer Paul J. Hennessy in the top job at Priceline.com. Which talented CMOs do you think will be CEOs by 2020? It is the brilliant post. Thanks for sharing the CEO worthy skills. Thoughtful perspective based on organizations having access to data that allows orgs to “see” and “prescribe” the customer journey. CMO’s and certainly other areas are increasingly tasked with delivering those results in increasingly complex marketplaces. Thanks for sharing. Great question Nick. I am still surprised at how often Director level leaders don’t have visibility into targets that are more business value oriented than ‘increase conversion’. It’s not everywhere, but there are still much larger swaths of marketeers optimizing for metrics that are a bit too shallow.